Recent years, PON technology has been more widely used in the fiber optic industry because of its advantages on building cost, protection cost and the broad width. And in China, the three major telecom operators – China telecom, China unicom and China mobile all bring the EPON and GPON into the telecommunication network, at the same time, in order to support the application of PON technology, ODN network is built strongly, then it put forward higher requirements to fiber optic connection, protection as well as the application and management of fiber cable devices, the most obvious device among them is fiber optic patch cable. We all know that tradition fiber patch cables are made to follow as the certain length of fiber optic connector assembly process, different lengths of fiber cables and connectors composed of a wide variety of fiber patch cords, they can be used in fiber optic patch panels, fiber transfer boxes, fiber cable devices and the connection between the devices and other optical ports, but just because these different fiber patch cables, it bring heavy pressure to storage management. Except this, traditional factory custom the length of fiber patch cables usually more than the actual length if the route and it leaves the length of the excess in a small disk space, we can see from the figure that not only it adds the cost of distribution frame and other cable devices but also not easy to manage, and too longer fiber cables always happens intertwined, knotted squeeze and circumstances, then result in unnecessary trouble, increase the cost of maintenance and management. Therefore, how to control the length of fiber patch cables effectively, to avoid all the trouble. To solve the problem, Fiberstore makes his opinion. 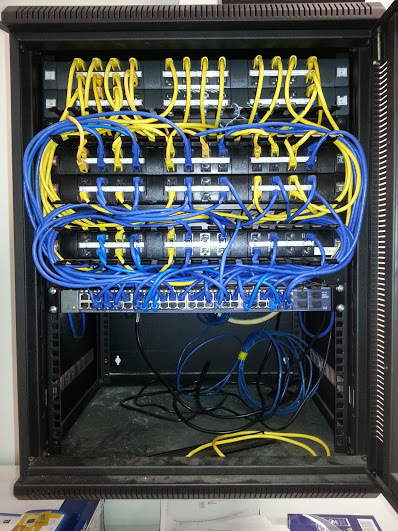 we use the on site assembly of fiber connectors, and on the 2 mm or 3 mm fiber pigtail?into end and make fiber patch cable at the scene, replacing the traditional custom factory fiber patch cables, it can greatly alleviate the traditional fiber patch cables left too long, difficulties of managements, frequent failure those a series of maintenance problems. Fiberstore comes with the close communication with all the operators and joint efforts, apply the fiber optic connector assembly of FTTH at the secne into fiber patch cables managements of fiber equipments. After the constant experiments and used for many time successfully, we have to believe that the embedded optical fiber types of fiber optical connector assembly at the scene will be the first choice for the fiber distribution frame, cable box, optical distribution boxes and other cable device in the future, it also can give ODN network cabling system maintenance and management to bring a revolutionary change.